Dubai, now an established gastronomic hub and home to some of the world’s top restaurants, could soon get its own Michelin Guide. That’s the opinon of Michelin-star British chef, Jason Atherton, who runs high-end restaurant and bar Marina Social in Dubai. He recently told local media he believed a local version of the world-famous restaurant ratings guide would “come to Dubai soon – so the rumours have it”. Atherton, who trained for more than a decade with celebrity chef Gordon Ramsay, said Dubai is ready for the grading system. “You’ve got so many restaurants, so many great hotel brands and so many great chefs that there has to be a grading system,” he said. Atherton described the Michelin Guide as “the most consistent guide book in the world, period”. “I think it will be good for Dubai, because it will inform Dubai clientele of how to choose their restaurants for what occasions. I think that’s important,” he added. 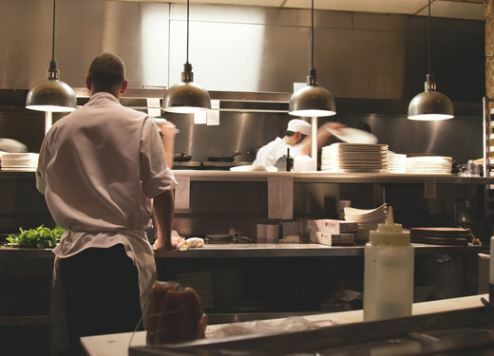 Last year, Michael Ellis, the international director of Michelin Guides, revealed the company was planning to roll out the system in the UAE. Speaking at Global Restaurant Investment Forum in Dubai, Ellis said it was only a matter of time before the Michelin Guide landed in Dubai, adding that it would be easy to do in the city thanks to its small size and majority English-speaking population. Atherton, who has long been crowned a Michelin-star chef, opened Marina Social at InterContinental Dubai Marina two years ago. It’s one of 17 restaurants he now runs globally, in locations including London and New York.